JIU-JITSU PRIVATE LESSONS ARE THE BEST WAY FOR YOU TO CONNECT WITH YOUR TEACHER AND GET THE ATTENTION YOU DESERVE! 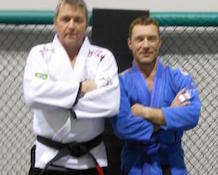 PRIVATE JIU-JITSU TRAINING AT THE MARTIAL ARTS ZONE IS THE BEST DECISION YOU'LL MAKE FOR YOUR FITNESS AND SELF-DEFENSE! CALL TODAY AT 603-206-5716 OR JUST FILL OUT THE SHORT FORM ON THE SIDE OF THIS PAGE TO SCHEDULE AN APPOINTMENT THAT WORKS FOR YOU!